We know how frustrating it can be to try to stuff 5 years worth of invoices into one standard hanger file. Or try to stuff a full client chart only to have the chart stick out the top and now your file cabinet will not shut. 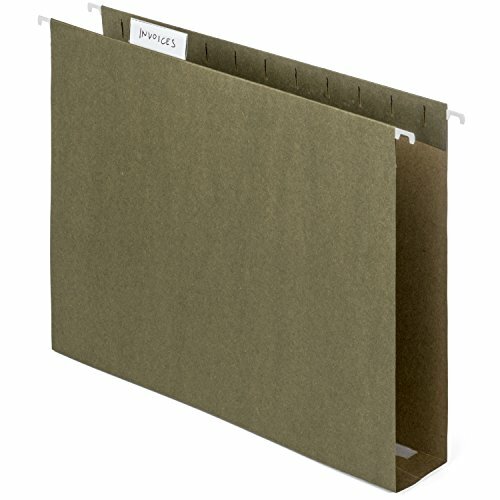 Our extra capacity hang files have a square bottom with a thick cardboard support allowing you to stick years of files, or thick manuals into the file folder and then still use your file cabinet.